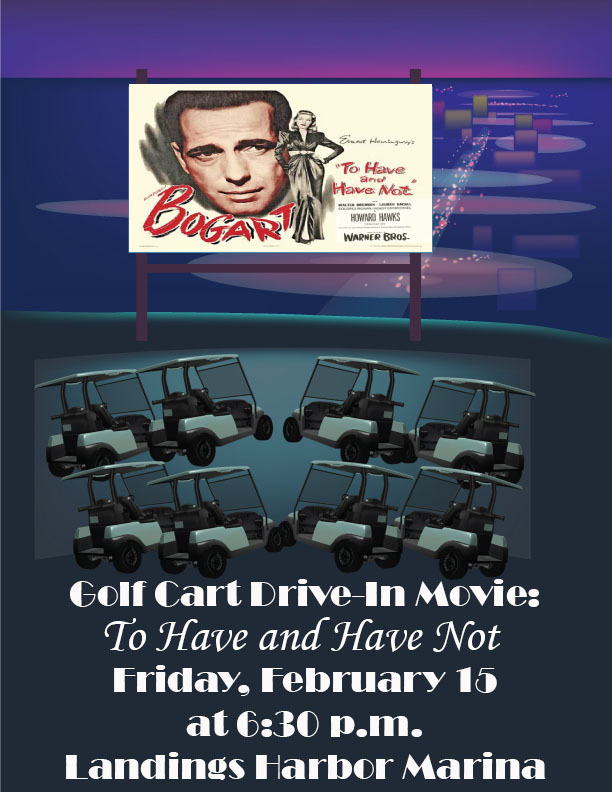 Join us Friday, February 15 at 6:30 p.m. at Landings Harbor Marina for a nostalgic date night tradition with a modern twist - a classic drive-in movie for golf carts! If you do not have a golf cart, you may set up a folding-style lawn chair. Bring your favorite movie snacks and blanket to settle in for fun movie under the stars.